According to Variety, Cher has suddenly dropped out of Lifetime’s movie about the ongoing water crisis in Flint, Michigan. She says it’s due to a “serious family issue,” but Cher hasn’t offered any details more specific than that. Also, Variety notes that the network’s executives just talked about the film at an event early last week, so it seems like this sudden issue was legitimately unexpected—especially since this was a passion project for Cher, who has donated water bottles to the Food Bank Of Eastern Michigan in the past. 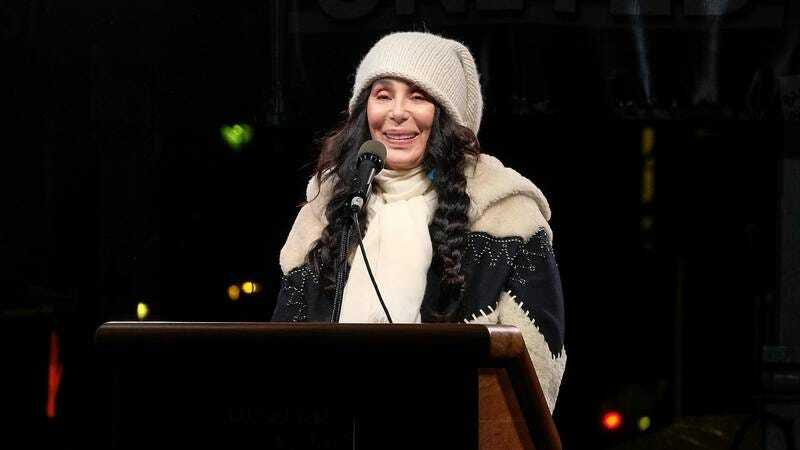 In a statement, Cher said that the project is “near and dear” to her heart, but she’ll be “unable to leave Los Angeles during the scheduled filming.” She says the network will be moving ahead without her, and she knows that the project will still “be done beautifully” in her absence. Variety says the movie will be a “hard-hitting, fact-based drama” about the events that led up to the crisis, and it will “shed light” on the people who allowed it to happen.